FHA loans (i.e. loans from the Federal Housing Administration) have seen their fair share of dramatic swings over the past few years. These have largely been the effect of the subprime lending boom and ensuing market collapse. During the times of the boom, FHA mortgages became very rare, since just about anyone qualified for a conventional mortgage loan. These days, however, the situation is radically different. The FHA insures a mortgage loan against risks which might otherwise make such a loan unacceptable for the lender. In other words, people with very poor credit ratings (typically under 600), bad debt-to-income ratios (some 58 per cent or higher) or those who are too strapped on money to make a 20 per cent down payment are insured by the Federal Housing Administration. FHA mortgage insurance basically tells the lender that the loan is not that likely to default as a down payment below 20 per cent, or poor credit ratings would indicate. Mortgage insurers such as the FHA (and other private companies) help mortgage lenders recover their costs in case the home buyers default on their loan and are forced into foreclosure. A mortgage loan that is covered by the FHA allows the potential buyer to make a down payment of as little as 3.5 per cent on their new home. As previously explained on our website, FHA loans had very high costs. Although FHA loan requirements are not strict and interest rates are comparable to those enforced by Fannie Mae and Freddie Mac, these loans come with high upfront and mortgage insurance premiums. Additionally, the FHA has a very strict market value appraisal process, which may go into more details than a non-FHA appraisal. The FHA mandates safety inspections and if their results uncover safety hazards, these must be addressed before the home can be closed on. All of the above had made FHA loans rather non-competitive. Since the Administration was allegedly strapped for cash, it had to maintain high mortgage interest premiums. In turn, private mortgage insurers had been stealing FHA’s share on the first-time home buyer, poor credit income earner market. Yet all this is bound to change starting with 2015. Early on in the year, the White House announced it would intensify its efforts to encourage first-time home buyers by shaving .5 per cent off the FHA’s yearly insurance premium. This unexpected move might, in turn, cause private mortgage insurers to lower their own premiums, in a bid to become competitive once more. The typical online FHA loan calculator has yet to be amended to reflect the upcoming changes, but chances are they will be quick to implement the decrease in mortgage premiums. Moreover, some real estate market experts have already rushed to speculate that private mortgage insurers might be prompted into premium cuts of their own, seeing as they stand to lose 15 per cent of their current market share to the FHA. 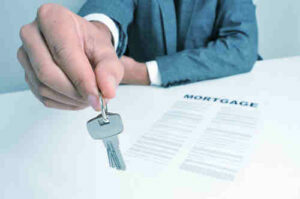 As of this writing, the FHA insures some 20 per cent of all new mortgage loans taken out in the United States. Also, at the moment, about half of all the mortgage debt insured in the United States is insured by private coverage companies.